The TV news shows university students playing in the snow on Azmar, the mountain above Sulaymaniya. Snow balls are flying. 'Zohr gosha', they all shout at the reporter - great! I zap to another channel, and see more or less the same images: boys and girls are enjoying themselves in the winter scene. Friends put pictures on Facebook of the wintery scene in their gardens, of the family playing in the snow. Snow is fun, is the message. 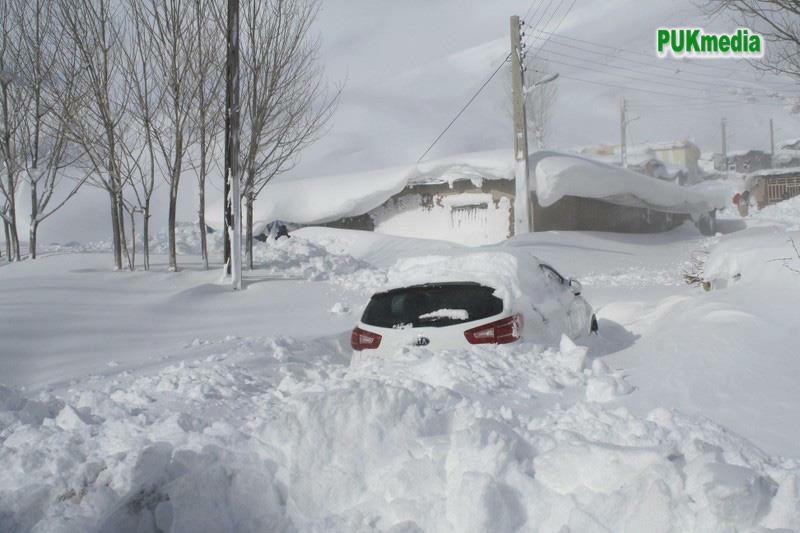 In Iraqi Kurdistan people like snow, just like they like the rain. Yet the country is quite unprepared for both - even though it does rain and snow every year. The same TV news has just spent most of the bulletin time showing the chaos on the Kurdish roads, cars that got stuck, accidents that happened because the roads hardly get cleaned. Some shovels are out, pushing the snow to the side, which is all the authorities use in the fight to keep the roads free and clear. Salt to clean the ice and snow away? Never heard of it. I remember that in one of my first years in Kurdistan I brought kitchen salt to clean the icy entrance to the office, and my staff was really watching in awe.Does that work? Yes it does, we use it all over Europe to clean our roads. And then: what do you do with your car when it is snowed in? In Europe we have all kinds of gadgets that help us clean the windows and lamps. You have to, to be safe out there. And of course you have your gloves and warm clothes to make sure you do not freeze while doing this job. Yet in Kurdistan, I hardly see gloves, nor gadgets for car cleaning. Cars just venture out on the roads with the wipers only having cleaned some of the windows, but with hardly any side view and their headlights still covered. When it rains, it rains heavily, and roads get flooded, tunnels become swimming pools and big puddles make driving a dangerous hobby. The media report about it, people complain, yet every time it rains the same happens. The consequence is, that when it rains or snows, the economy stops. Kurdistan is the gate to Iraq and it has become a consumption economy - and lots of lorries bringing in goods use the roads every day. Yet when the snow is blocking the roads, all this stops. When the rain floods the roads, all is delayed. That is money, that means shops and customers not getting their products, that is sales not happening - that is dollars and euro's and dinars being lost. 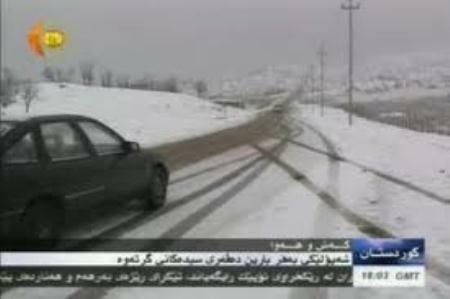 The TV-news shows images of snowed in trucks near the border of Haj Omran, on the road to Iran. The reporter tells us the snow has reached to a meter and a half. How he got there is not clear, as the road is clearly not fit for driving. Bulldozers are used to pull out some of the local trucks, but the big international lorries are abandoned and covered with snow. I had an appointment on the day it snowed around Sulaymaniya, which had to be canceled because the roads were too slippery and dangerous. I am sure I was not the only one who had to stay put that day. I wanted to go out on a story, but that had to be postponed until the roads are clear again. I mind and fret about it, but many Kurds don't, they are happy to have an excuse to stay home. And then the accidents, in a country where nobody has any car insurance. It is bad enough when it snows in Europe, but there at least you know you will get financial help with the repairs if you drive into the side of a slippery bridge. There will be a service you can phone to get your car towed away, and yourself transported to a warmer place. Here there is no such security. You just leave your car until the snow is melted. I feel sorry for the guards at the check points, who are already into wearing ear warmers when the temperature drops to about 10 degrees. How do they manage when it snows, and freezes? Which brings me to the heating, in a country where air conditioners in the winter are turned into heaters. When everybody puts them on - and on 31 degrees - it costs a lot of electricity. And that leads to electricity failures, so people sitting in the cold or around smelly and extremely unhealthy kerosene fires. Kurdistan has in the past few years changed enormously, but this did not follow the change. The concept of the economy having to keep moving to keep healthy, even in bad weather, has not caught on yet. But at the same time, a healthy economy has become more and more important for more and more people who live off the income from trade and investments. Moving forward means for the Kurdish authorities to recognize the problem and work on a policy to solve it. I know this winter we will have to accept the consequences of the cold, the rain and the snow. But please, let the change also reach here. To keep people warm and safe, and keep the economy running in the winter. ,,Bexerbe, baresz, fermou!'' The security guard at the checkpoint waves me through with a surprised note in his voice. ,,Welcome, respected person, go ahead!'' I see him wonder: A woman, on her own, driving - and she is a Westerner! This is my experience of three weeks of driving by myself, instead of being driven by a driver or a friend as before. After almost five years in Kurdistan I am now driving my own car, and traveling across the country. And at every checkpoint - and Kurdistan has quite a few - the guards almost salute. Quite a change from before, when my driver was always asked about my identity and reason for being on the road and we were far too often stopped for no apparent reason. 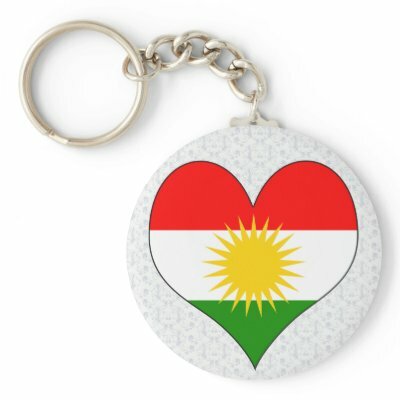 When I look around me, it is clear to me that I must be considered a rare species in Kurdistan. I see hardly any women driving cars on the motorway, let alone on their own. The few women that do drive by themselves, stay mainly in the cities, it seems. People are always telling me not to let anyone in the car, not to take hitch hikers - the message being that it would not be safe and possibly even dangerous for a woman on her own. But I do not feel unsafe, not in that sense. In Europe I used to like driving. I had my driving license when I was 18, and have owned a number of cars until parking in Amsterdam became too expensive for me. 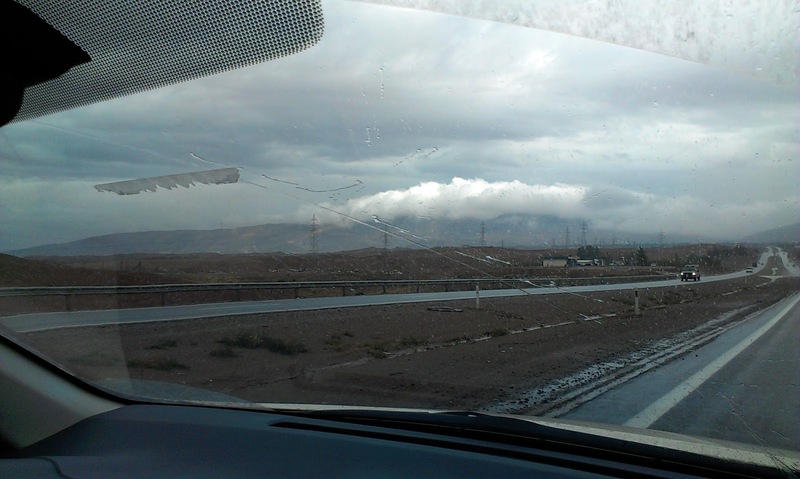 But in Kurdistan driving is not so much fun - it is rather stressful. First of all because of the way people drive. Driving is Europe is organised, even though people break rules and make their own. In Kurdistan nobody seems to know there are rules, and people can make the most unexpected moves in their cars. So you do not know what to expect, apart from that you should expect everything. Nobody seems to watch his/her mirror, so anyone can move in front of you, without of course signaling where he/she is going. Because of that, people honk when they feel the driver next to them has not noticed there is someone driving there. People have no problem at all overtaking on the right hand side, so you might have cars shooting by on both sides. Cars are stopped just about anywhere, so you might just almost drive into someone who is stopped in your lane. With my driver we used to comment on the bad drivers - they were donkeys, are had no brains. Car drivers shout at each other, when they get irritated by the behavior of others - and they do not seem to realise they do not behave much better themselves. Making a neat line at the traffic light, or at the checkpoints is something almost unheard of. Drivers try to overtake, to be first, so often at the checkpoints two lines have to melt into one - and that is the place where the big cars show they are not just big but also bigger than your car. And when traffic jams happen, Kurdish drivers make it all worse by trying to fill up any free space and overtaking on all sides. I have seen jams which were knotted so tightly they could hardly be solved when the initial reason had been resolved. On the motorway drivers behind you tend to flash their lights at you when they want to pass. But they do not consider the fact that you are behind someone that you want to pass too, and that this car also, etc. The feeling on the highways in Kurdistan is that everybody wants to be there first - and I find it feels sometimes really like a big racing track. But then imagine a racing track with holes, and with tarmac that is badly damaged by many heavy lorries. For that reason often the right hand lane is not really fit for driving a car at a speed of 100 km per hour or more. So most cars stick to the left hand lane, which usually is of better quality. Here you can really get stuck behind people who cling to this lane with a speed of 80 km an hour. 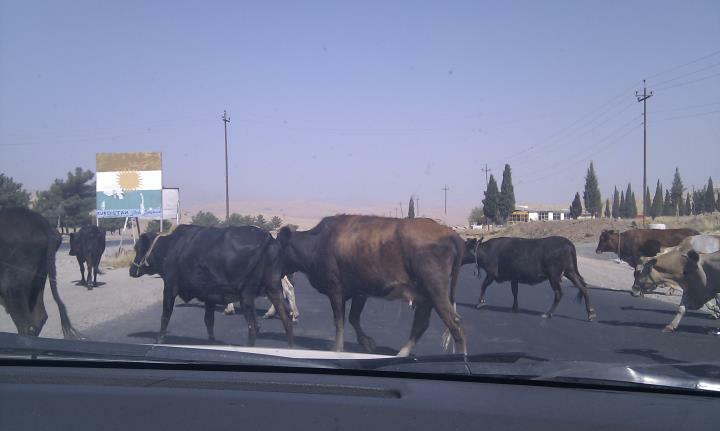 Impatient Kurdish drivers will then overtake on the right, if lights and horns do not have any effect. And then, because of the bad state of some parts of the roads, there are the stones. I remember the adds on Dutch TV about repairing the 'star' in your car window in the event of a little stone hitting it. Well, this repair is very much needed in Kurdistan where almost no cars have front windows that have been saved from the flying stones. I have been driving around now for just a few weeks and already had my first hit with a little stone. There is a connection between the fact that there are so many of this stones, and the bad driving. They fly around because impatient drivers use the hard shoulder to overtake, not caring about the stones they catapult into the air in this way. And because of drivers, also lorries, making U-turns where that is not allowed, again loosening the stones. And then there are the traffic bumps. Yes, speed bumps on the motorway - can you imagine it? And even worse: mostly without warning signs. Just image that in the dark. It is a good thing that I have driven from Sulaymaniya to Erbil hundreds of times with my driver, so I know where the bumps are. Because you have to slow down to an almost stop, if you want to keep your car suspension healthy. And then you have to warn the drivers behind you by putting on the alarm lights, so they will not smash into you. 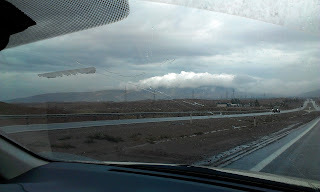 Driving in Kurdistan is such an adventure, that I realise I hardly have time to see the beautiful countryside anymore. I need my eyes on the road, in the mirror, on anything that can happen and needs my reaction to it. Like the dogs, that cross the road in two's or three's. Many of them do not survive these moves, and the sides of the roads are littered with their bodies. Or like cows and donkeys, that cross highways by themselves on their way home after a day of walking and eating, and like sheep and goats that are shepherded by the side of the road, but also across the road when the shepherd wants them to. In the middle of all these adventures, the checkpoints are almost little sanctuaries. 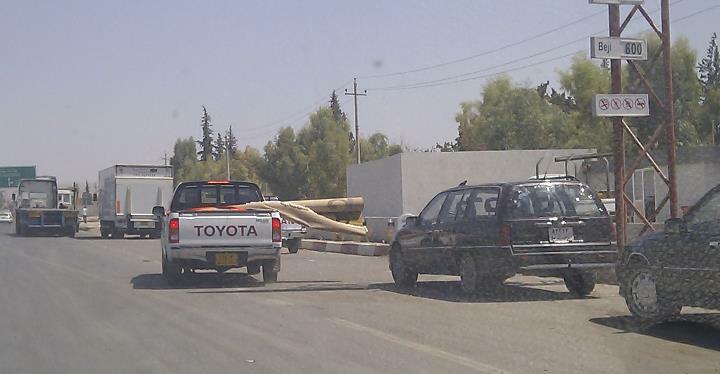 Slow down, wind your window down, say ,,bashi brakam'' to the guards. Those poor guys who stand there all day looking into cars and waving them through. They are so happy with anything that is out of the ordinary. Like a Western woman on her own, mastering the Kurdistan roads. They smile, I smile. And I am sure the guards have discussed me between themselves - this rare phenomenon. I have seen a lot of change in Kurdistan in the past five years. But I have not seen it become less of a man's world. I wonder how long it will take until Kurdish women will have become more independent and brave, and more of them will have dared to leave the cities driving their cars. 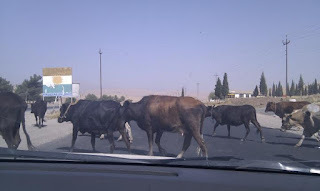 Like elsewhere in the world, they might have a good influence on the behavior on the Kurdish roads. Not to mention all the other reasons why that would be a good development.